Sargent's Daughters is pleased to announce that Jordan Casteel has been selected as an artist in residence at the Studio Museum in Harlem. Thelma Golden, Director and Chief Curator of the Studio Museum, marked the next cycle in this vital program by announcing that Jordan Casteel, EJ Hill and Jibade-Khalil Huffman have been selected as the Museum’s artists in residence for 2015–16 and will begin their eleven-month tenure in October. 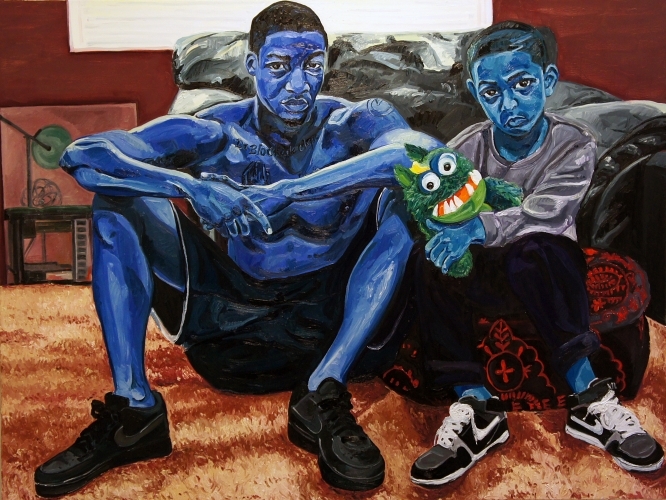 Jordan Casteel (b. 1989 in Denver, CO) lives and works in Brooklyn, NY. Casteel received her MFA in 2014 from Yale in New Haven, CT. In 2015 Casteel had artist residences at Yaddo and the Lower Manhattan Cultural Council was also included in Color II: Identity and Society at the Gund Gallery Kenyon College. Additionally, her work was selected for inclusion in New American Paintings Northeast Issue #116 - 2015. In 2014 Casteel had her first solo exhibition in New York with Sargent’s Daughters and she will be having her second solo exhibition with the gallery in October 2015.